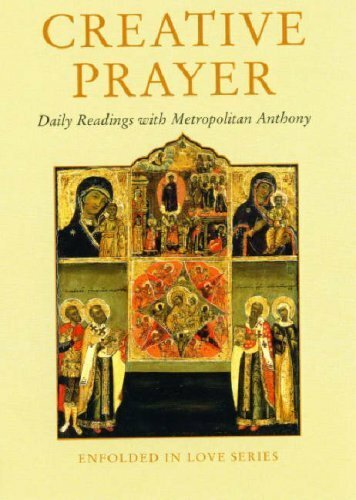 Metropolitan Anthony of Sourozh is known to thousands as one of the most exciting writers on prayer. Creative Prayer is both a penetrating analysis of the meaning of prayer as relationship with God and a practical guide to how to pray. Metropolitan Anthony has an eye for the telling phrase or vivid example which make his words strike home and help the reader to get the most out of his writing. Those familiar with his works will find his teaching presented in a most helpful and accessible manner while for those still to discover his work this book is an ideal introduction. This book is part of the acclaimed Enfloded in Love series of books which presents selections from the spiritual classics in a form suitable for daily reading and meditation.